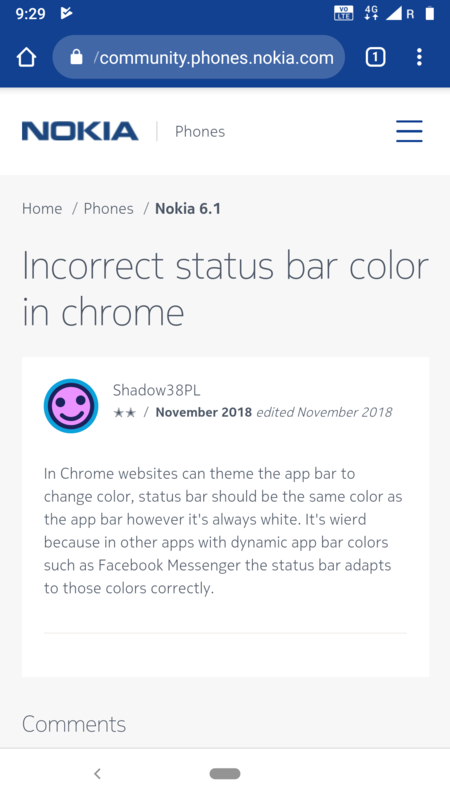 In Chrome websites can theme the app bar to change color, status bar should be the same color as the app bar however it's always white. 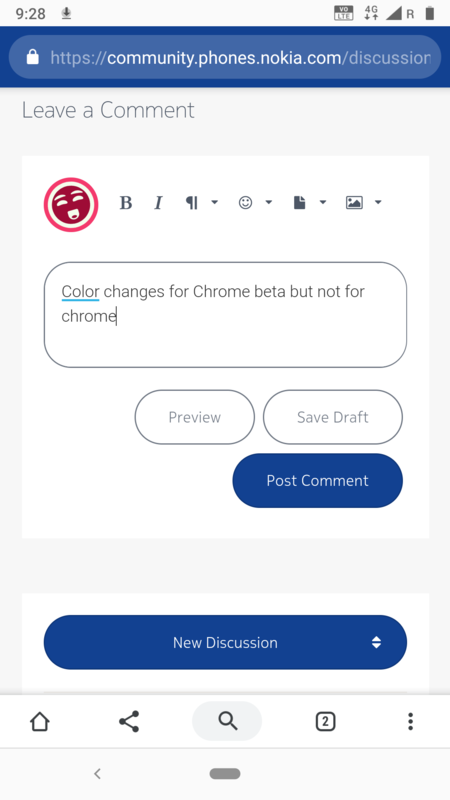 In Chrome websites can theme the app bar to change color, status bar should be the same color as the app bar however it's always white. It's wierd because in other apps with dynamic app bar colors such as Facebook Messenger the status bar adapts to those colors correctly. This exist in Android Pie (on Nokia 8) too. update your chrome app. mostly it happens because of the google chrome issue. not the software.